I've tested thousands of travel apps, some of which I've purchased myself, including general travel apps, and specific ones for airlines, trains, rental cars, etc., as well as for cities, countries, and travel destinations, such as national parks and historic sights. Here are my top ten favorite general travel apps for 2014. I use all these apps personally in travel planning, and/or while away. 10. White Noise — ($1.99: iOS, Android Windows 8) Too much noise coming from outside your room, or even inside it, possibly from another room, a dripping faucet, or a roommate? White Noise can rescue you. The “white noise” it makes can help most travelers get to and stay asleep by blocking distractions. I use the built-in “air conditioner” sound. White Noise also has a built-in clock display which shows through the night, and you can setup alarms to wake you as needed. Nature photographers' clothing and gear color really matter! Birds typically have sharper vision, and significantly superior color vision than humans. Birds can see certain light frequencies, including ultraviolet, which are invisible to most humans. Their superior eyesight can diminish the nature photographers’ ability to get closet to birds, desirable to help photographers make sharp, detailed images of these beautiful feathered animals. 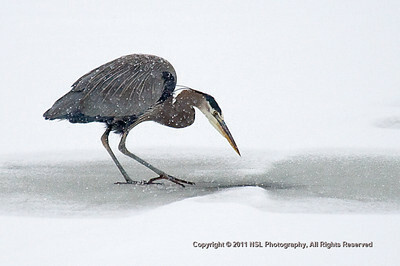 Nature photography has five keys for success I call “Wildlife Photography's Five P's”: Preparation, Practice, Patience, Persistence, Propaedeutics.”™ This article concentrates on “propaedeutics,” learning connected with any art or science. The more we learn about wildlife as photographers the more successful we can be making wildlife images. Learning about avian eye physiology helps bird photographers understand how bird’s superior vision affects the photographers’ ability to make great images of birds, thus aiding them in maximizing their bird photo opportunities. Today, in the United States we'll celebrate our nation's birth. In Philadelphia, America’s birthplace and it's first capital, that means the annual “Philly 4th of July Jam and Grand Finale Fireworks” held at the foot of the Philadelphia Museum of Art tonight, where more than a half million Philadelphians and visitors will enjoy one of the country's best Independence Day concerts. This year it will star The Roots, Ed Sheeran, Nicki Minaj, Jennifer Hudson, Aloe Blacc, Ariana Grande and Vicci Martinez performing live, with actor and comedian Marlon Wayans serving as host, followed by one of the largest, most spectacular fireworks displays in the nation. This year I'm going to continue experimenting while photographing the fireworks. I'm going to use a variety of neutral density filters to enable me to use longer exposures, and capture more fireworks' bursts in my images. I'll be experimenting with neutral density filters which add 1, 2, or 3 f/stops to my exposure. I'll explain below what that means in terms of shutter times. As reported last week, New Jersey based photography retailer, C&A Marketing Inc, which purchased some of Calumet Photographic's assets and debt, opened the Oak Brook Calumet Photographic store last Sunday, May 11th. The opening was generally well received with customers noting many of the old Oak Brook staff had been rehired by C&A to run the store. Customers reported to me that the store had Pocket Wizard, Sekonic, Gitzo, Manfrotto, Calumet, Quantum, Nikon, Canon, as part of a large variety of name brand products, in the store for the opening. Some customers said they were disappointed that many higher end products, for sale mainly to professionals and enthusiasts, were not in stock, such as Nikon professional bodies and lenses. As reported last week, New Jersey based photography retailer, C&A Marketing Inc. outbid the proposal of CalPhotoUS, owned by former principals of Calumet, to purchase specific assets and debt of the former Calumet Photographic for just under $4 million. The purchase includes the option to open five of the former chain's 14 stores. C&A Marketing announced yesterday that on Sunday, May 11, they will hold the “grand reopening” of the Oak Brook Calumet Photographic store. The Oak Brook Calumet Photographic store is located at 1600 West 16th Street in Oak Brook, Illinois. Beginning on Sunday morning at noon, the store's phone at 630–860–7458 will be available to the public. Calumet Photographic acquired by C&A Marketing Inc. The Calumet acquisition decision has been made by the US Bankruptcy Court of the Northern District of Illinois. New Jersey company, C&A Marketing Inc. outbid the proposal of CalPhotoUS, owned by former principals of Calumet, purchasing some assets and debt of the former Calumet Photographic for just under $4 million. The purchase includes the option to open five of the former chain's 14 stores. CalPhoto had offered $2.825 million for the remnants of the chain. Chaim Pikarski, executive vice president of C&A Marketing Inc. said they would decide soon how many, if any, of the old Calumet stores, they would reopen, and if they would move any of the stores to new locations. 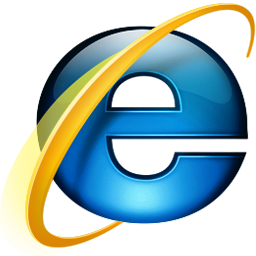 Digital Darkroom: Stop using Microsoft Internet Explorer, at least for now! As many know, along with being a professional photographer, I am a network and tech security consultant. If you haven't heard about the recent serious problems of Microsoft Internet Explorer (all versions), or hadn't taken it seriously, please take my warning seriously. IMMEDIATELY DISCONTINUE USING INTERNET EXPLORER! The problem with all versions of Internet Explore from versions 8 through 11 (current version) is that all the versions contain a particularly vulnerable “zero day exploit” through which hackers can install malware from a website you visit, which they have either hacked or setup themselves. Once you've visited the website while using Internet Explorer, the malware secretly installed on your computer can give a stranger total control of it, without your knowledge. You might not even notice it's running. I've been reporting on Calumet Photographic's bankruptcy for some time now. Let's review what's happened so far. In Part I we looked at how modern digital cameras autofocus (AF), and what factors influence AF systems' ability to focus quickly and accurately. In Part II, we discussed choosing the best focus mode for a particular subject, manual or autofocus, or using them together, as well as single versus continuous focus, all to achieve a solid focus for a variety of situations common to travel photographers. In Part III, below, we'll get to the nitty-gritty of using autofocus and manual focus, including looking at the different AF area and tracking modes, and focus locking methods. The Museum of Modern Art (MOMA), in New York, NY has another in a string of amazing photography exhibitions in the US. Walker Evans American Photographs is another in a long line of great exhibitions at MOMA. If you’re in the New York City area, don’t miss this exhibition. It's only going to be around until early spring. The exhibition will run through March 9, 2014.